Newly-tightened immigration enforcement policies are having a dramatic effect on local day workers, and centers which strive to match employers with temporary laborers. CENTREVILLE, Va. — Newly-tightened immigration enforcement policies are having a dramatic effect on local day workers, and centers which strive to match employers with temporary laborers. “The recent immigration changes are definitely producing a lot of fear in our community,” said Jasmine Blaine, director of the Centreville Labor Resource Center. “If there are rumors of raids going on, less people are willing to leave their homes, as they’re afraid of being picked up by Immigration, and deported,” said Blaine. The Trump administration is not changing U.S. immigration laws, but it is altering how they will be enforced. 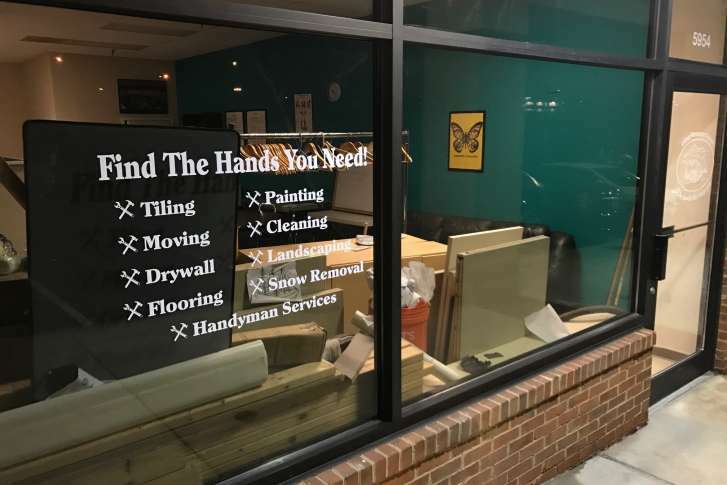 “We’re seeing people become very nervous about what they should do,” said Andres Tobar, executive director of the Shirlington Employment and Education Center. SEEC, located in South Arlington, matches employers with people looking for work. Tobar and Blaine said the centers are an alternative to workers congregating on street corners. Blaine said the center attempts to inform immigrant workers about changing immigration enforcement policies. “We’ve been doing a lot of ‘know your rights’ sessions, to let them know what their legal obligations are, and how to protect themselves in case anything does happen,” said Blaine. The Centreville center is trying to prepare workers for future uncertainty, including the possibility of parents being separated from their children. “There are certain legal documents that can be filled out to give guardianship of your child to someone else here in the States, if that happens,” said Blaine. Life as an immigrant has always included stress, even before President Donald Trump’s promises of tightening immigration, said Tobar.